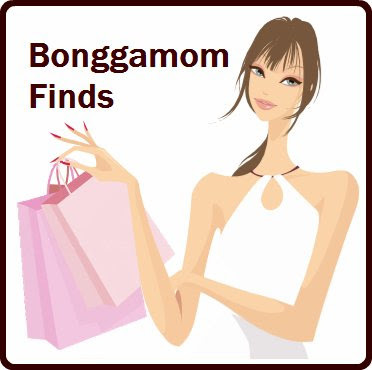 Finding BonggaMom: Changing of the Guard: Is it worth braving the crowds? Changing of the Guard: Is it worth braving the crowds? Quick, what's the most tourist-y thing you can do in London? Chances are, you thought of the Tower of London, Big Ben, or Buckingham Palace and the Changing of the Guard. We've done the Tower of London and Big Ben on past visits, so I decided to take the kids to see the Changing of the Guard on our most recent visit to London. The current shift guarding Buckingham Palace and St. James' Palace ("Old Guard") march to the area outside Buckingham Palace, just inside the Palace Gates. The new shift for both Buckingham Palace and St. James' Palace (the "New Guard") marches to Buckingham Palace from Wellington Barracks. The Old Guard hands over responsibility to the New Guard. The Old Guard heads back to Wellington Barracks. 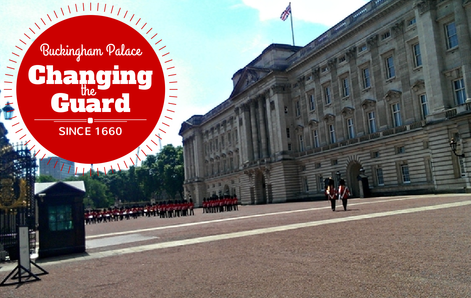 The New Guard head to St. James' Palace or back inside Buckingham Palace. To get to Buckingham Palace, we took the Tube to the Green Park station; from there, it was less than 10 minutes' walk through Green Park. I definitely recommend getting to Buckingham Palace at least 30 minutes before the start of the ceremony (check the Buckingham Palace website for start times) -- you need to get there early to get a decent viewing spot, and the whole thing lasts only 30 minutes! I wanted to be there by 11:00, but of course we got delayed, and we arrived just after 11:30. By that time, the crowd in front of Buckingham Palace was about 7-8 people deep. At times during the ceremony, pairs of guards would march right up to the gates, so we were able to get some good close-up shots. If crowds make you claustrophobic and you don't want to fight your way to the front, don't worry. After the musical fanfare, a portion of the New Guard remains at Buckingham Palace while the rest of the New Guard marches out of the Palace Gates, around the Victoria Monument (half of them go round the right side, and the other half go round the left, so people on each side get a view), and down the Mall to St. James' Palace. So if you station yourself anywhere along that route, you'll get a good view. Was it worth the effort of getting there and pushing through the crowds? If you ask Alfie and the kids, the answer would be an emphatic No. We were too far away to see the actual ceremony (expect for the occasional pair of guards who would march our way), which consisted of a lot of marching around and a band playing show tunes. In retrospect, I think I should have taken the kids to this when they were several years younger, when they were young enough to be excited by the spectacle -- or waited another decade, when they were mature enough to appreciate the cultural significance (although some supposedly mature people -- *cough*Alfie*cough* -- will never appreciate it). Yes, it's crowded and touristy, but yes, I had to do it, and yes, I did enjoy it, if only for the fact that I get to cross it off my Must-Do tourist attractions list!